A new stringency level that would limit the emissions of non-volatile Particulate Matter (nvPM) from aircraft engines was agreed. The ICAO standard is expected to drive technologies to address non-volatile particulate matter, which in the long run will minimize their potential environmental and health impacts. With this new standard, ICAO has completed all main environmental standards for the certification of aircraft and engines, namely for noise, local air quality (NOx, HC, CO, nvPM) and climate change (CO2), making the aviation industry the only sector with environmental mandatory certification requirements at the global level for the operation of its equipment. Once applicable, all new aircraft will need to be certified to those ICAO standards before operating. The meeting also delivered new technology goals for the sector, including improvements of aircraft noise up to 15.5 dB below Chapter 14 limits for single-aisle aircraft by 2027, NOx emission by 54 per cent relative to the latest ICAO NOx SARPs and fuel efficiency up to 1.3 per cent per annum can be expected for the new aircraft entering into production. Agreement has been achieved on the means to calculate and claim the benefits accrued from the use of sustainable aviation fuels within the context of CORSIA. This is significant in terms of reducing airlines’ offsetting requirements. The agreement included the default values and the methodologies for calculating actual values needed to calculate the life-cycle CO2 emissions reduction benefits of different feedstocks. CAEP has also agreed on the requirements for Sustainability Certification Schemes (SCS) and a process to evaluate and recommend a list of eligible SCS, which will certify fuels against the CORSIA sustainability criteria. This package of agreements provides the clarity needed for the energy sector to embark in the production of sustainable fuels for aviation, and is an important step towards CORSIA implementation. 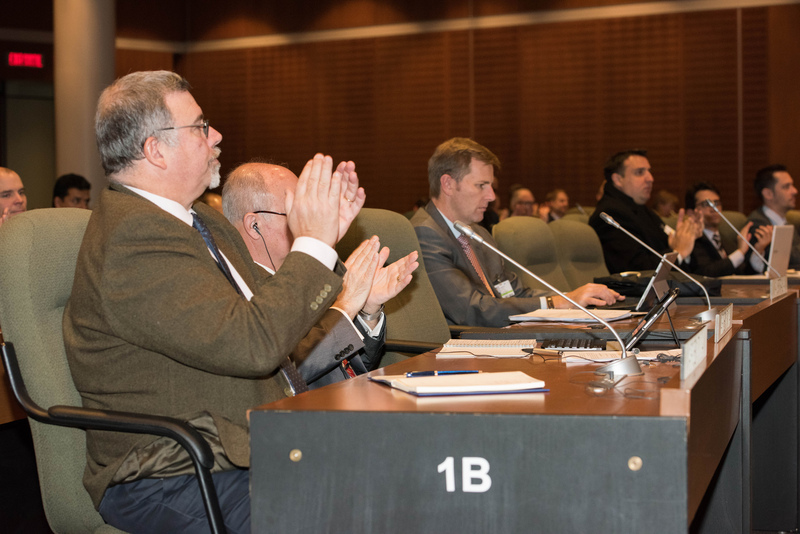 In addition, CAEP has delivered a recommendation for the rules and procedure for the ICAO Council’s Technical Advisory Body (TAB), which will evaluate the eligibility of emissions units for use in CORSIA. Another agreement was the technical updates of Environmental Technical Manual on CORSIA, which clarifies the recommended actions by States and airlines for monitoring, reporting and verification of CO2 emissions under CORSIA. The meeting agreed on the updated ICAO environmental trends for noise, local air quality (NOx and nvPM) and global climate (CO2), which will be the basis for the considerations of ICAO environmental policies at the next ICAO Assembly, in September 2019. Important publications were also developed as part of ICAO’s eco-airport toolkit collection in the areas of renewable energy, waste management, environmental management, and eco-design of airport building. Regarding climate change adaptation, a Synthesis Report was approved for publication, providing important information on the climate risk impacts and resilient options for the sector. Two other important reports were agreed: one on the state of aircraft end-of-life and recycling; and the other on performance-based navigation and community engagement. The meeting further agreed with the results of the assessment of the positive effects of operational improvements. The assessment showed that the implementation of these measures, as per ICAO global plans, savings of fuel between of 167 to 307 kg per flight can be achieved by 2025. This corresponds respectively to a reduction of 26.2 to 48.2 Mt of CO2. The meeting agreed on the publication of the white paper “State of the Science 2019: Aviation Noise Impacts Workshop”. CAEP also considered the progress that has been achieved towards supersonic transport operations, and agreed that an exploratory study should be undertaken. CAEP will also assess how to certify other new technologies such as hybrid and electric aircraft as part of its future work. 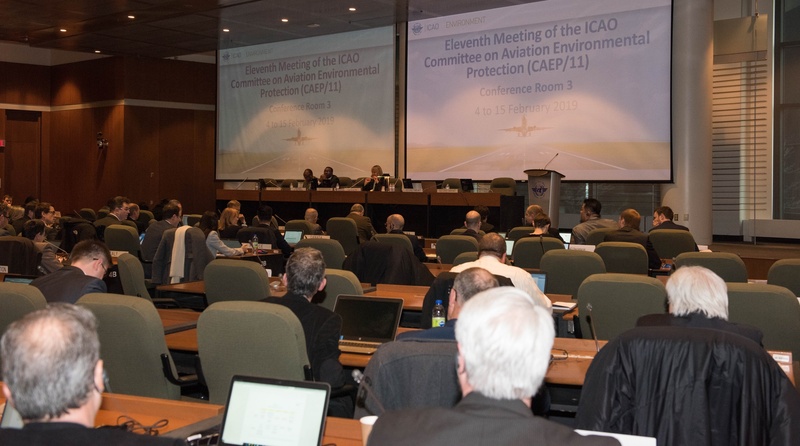 Because CAEP is a technical body of the ICAO Council, all of the technical recommendations that were agreed by CAEP above, will be considered by the Council for final approval.